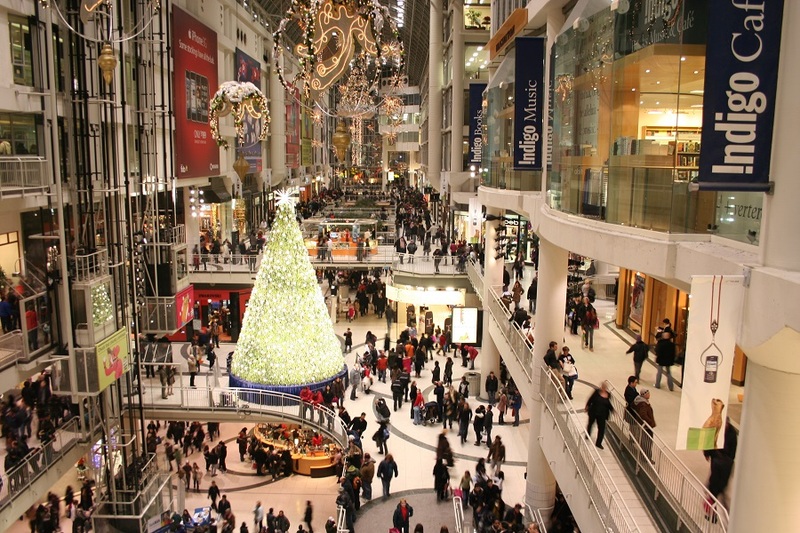 The next time you’re strolling around your local shopping centre, consider the temperature. Are you hot, cold or just right? Did you know that large commercial spaces such as these use around 60% of their total energy use on heating and cooling? We think that’s a lot so we’ve developed some snazzy solar cooling technology to achieve better energy efficiency. In fact, this technology is quite a breakthrough and hasn’t been used before. Our solar-powered air-conditioning system at Stockland Wendouree Shopping Centre in Ballarat, Victoria, is a leading example of how to use the sun to cool Australian buildings. 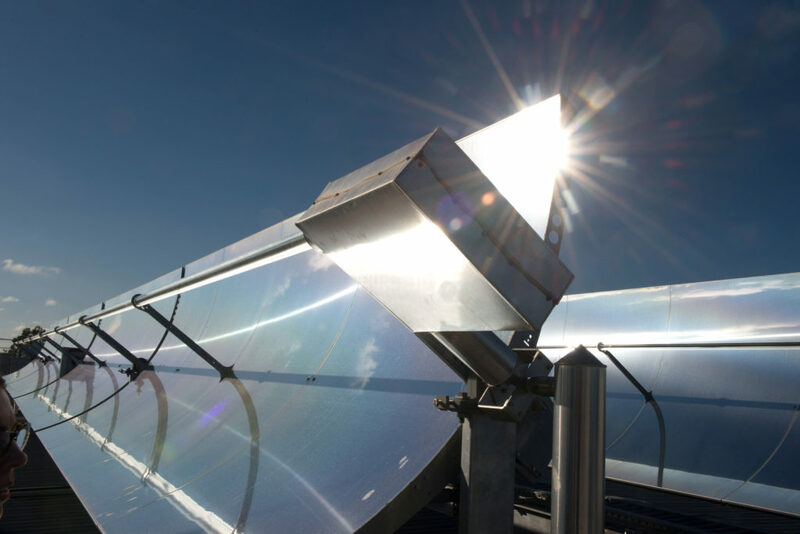 Using concentrating solar thermal (CST) technology, the system produces its own heat energy to power the air-conditioning, which results in less cost to the business. But we couldn’t do this alone. We love partnering with like-minded organisations that recognise the importance of delivering energy innovation. The Australian Renewable Energy Agency (ARENA) provided $520,000 support toward to the $1.2 million, three-year project, jointly managed by us with Stockland Group and NEP Solar. What makes this technology so cool? Without getting too technical, the closed-loop system uses two ‘desiccant’ wheels to remove moisture from the air, acting as a dehumidifier. A high temperature wheel uses solar heat for regeneration while the low temperature wheel functions without any external heat to deliver greater efficiency. An indirect evaporative cooler reduces the temperature of the dehumidified air without altering the moisture content of the air stream. To give you a better visual idea, NEP’s solar troughs are installed on Stockland Wendouree’s rooftop, trapping heat from the sun. This heat is stored in a thermal oil tank to deliver space heating and cooling. The roof space required for this cutting-edge technology can be 40% less than a traditional single stage desiccant air-conditioning system. It also allows humidity-controlled fresh air into the building to deliver temperature comfort. Our solar-powered air-conditioning system at Stockland Wendouree Shopping Centre in Ballarat, Victoria. Our Energy Director, Peter Mayfield, is pleased as punch with the early results. We’re not the only ones who are excited about the future of this technology, ARENA CEO Ivor Frischknecht is on board to help us make a positive impact. We will continue to assess and monitor the technology for the next 12 months to establish long-term commercial operations and further investment as part of our commitment to creating a low emissions future for Australia. Get up to speed with our leading research into solar cooling technologies. Read the project report on the ARENA website. Energy pick n’ mix: are hybrid systems the next big thing? Too clever for words. Solar heat for warming in winter AND cooling in summer saving particularly precious gas in winter and electricity (read coal) in summer. A great positive step towards addressing the Limits to Growth and global warming. What next? Will there be a domestic application of this solar heating/cooling eventually? I see the 40% space saving in roof area used. Are there any overall cost comparisons with existing systems.? Even a back of the envelope guesstimate would be helpful. Perhaps this system is a high efficiency variation of an experimental evaporative water cooler system of CSIRO in the 1970’s. This used an aerated damp fabric wheel – the fabric passing through a heat exchanger which then cooled fresh inlet air. It was more complicated than I explain. I believe that operational problems prevented it making the market. I guess the new CSIRO cooling system is vastly different in both design and operation; certainly being considerably more effective. . Thanks for your comment Frank. This design uses a desiccant wheel to remove moisture from the inlet air. An indirect evaporative cooler reduces the temperature of the inlet air unlike the evaporative cooler you mention that adds moisture into the air stream. Hope this information helps.